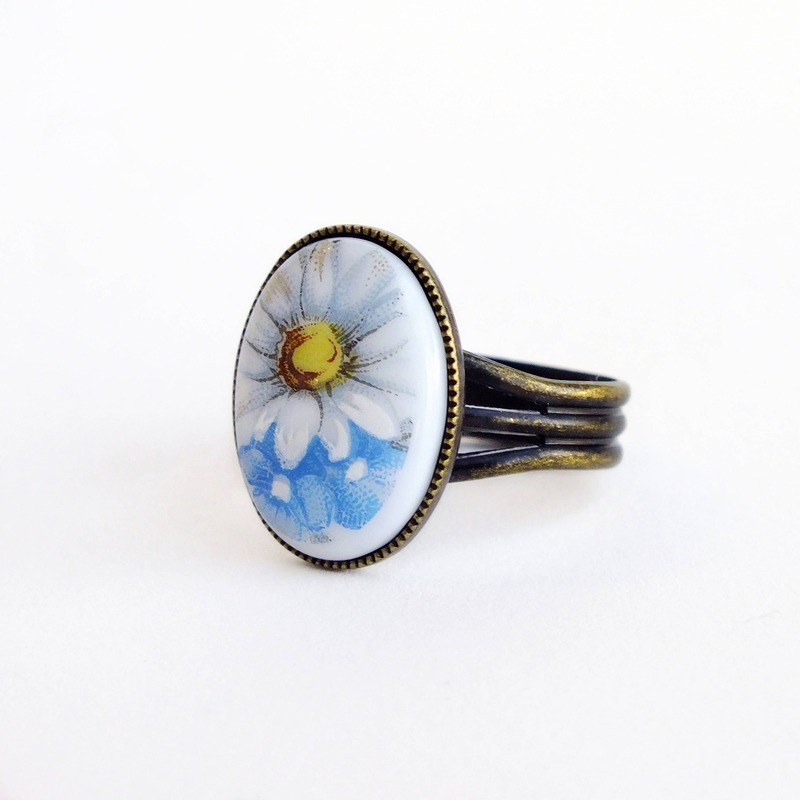 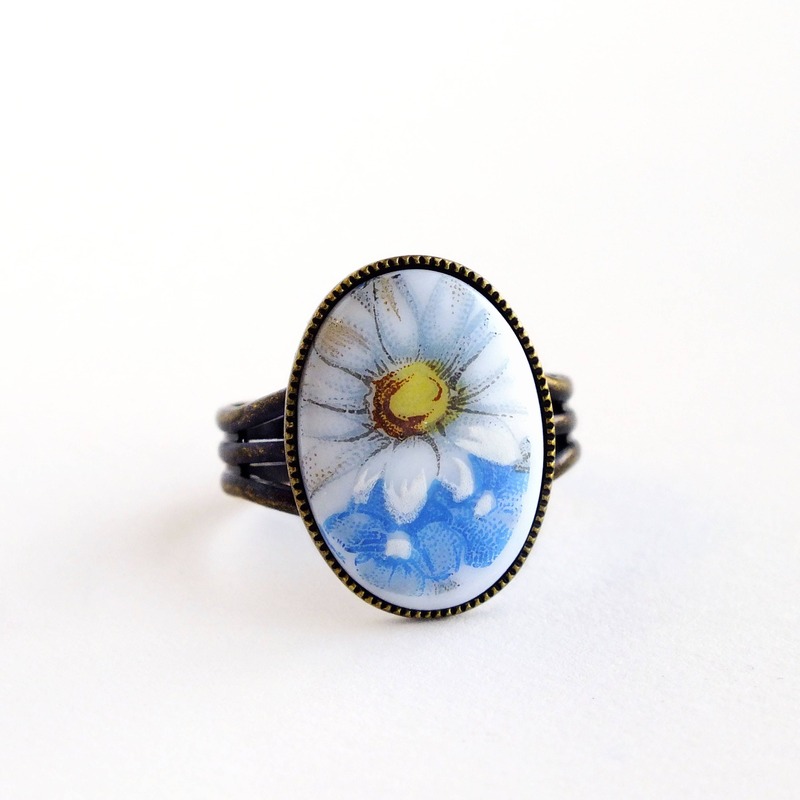 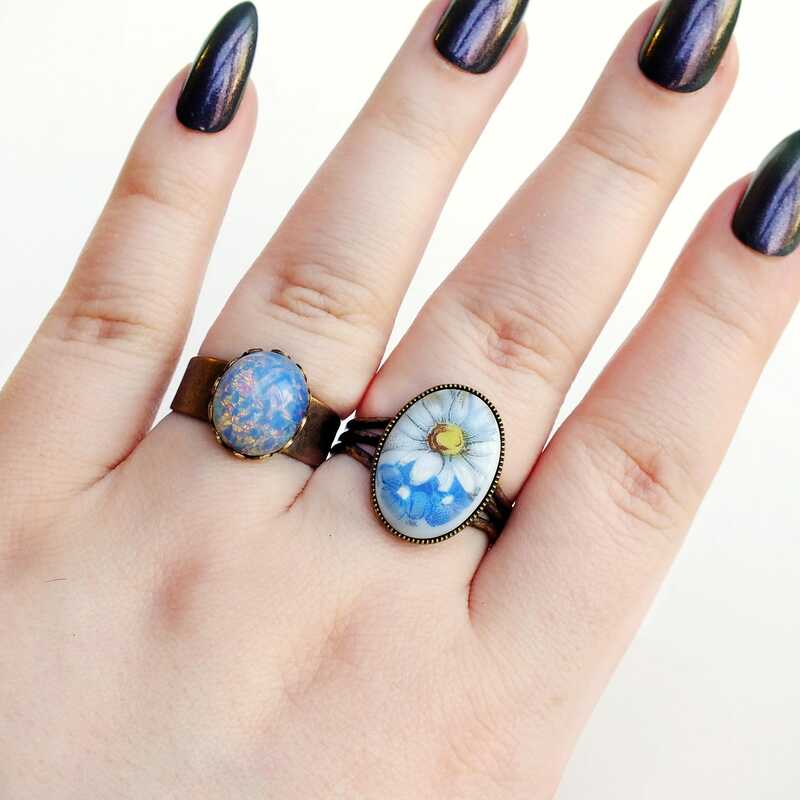 Handmade blue white daisy ring with vintage glass flower cameo and adjustable brass band. 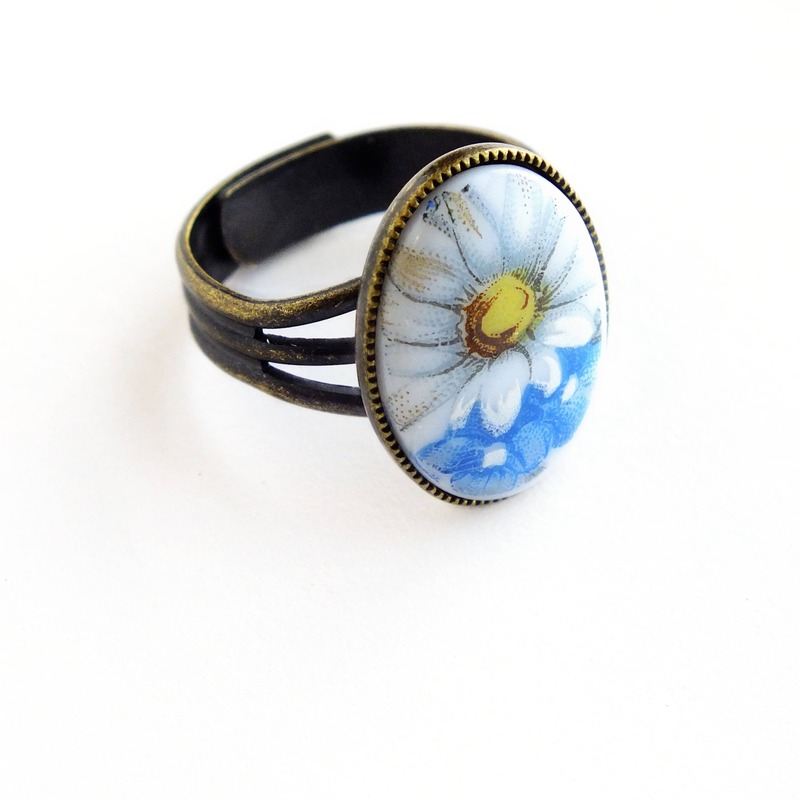 High quality imported nickel-free adjustable antique brass band. 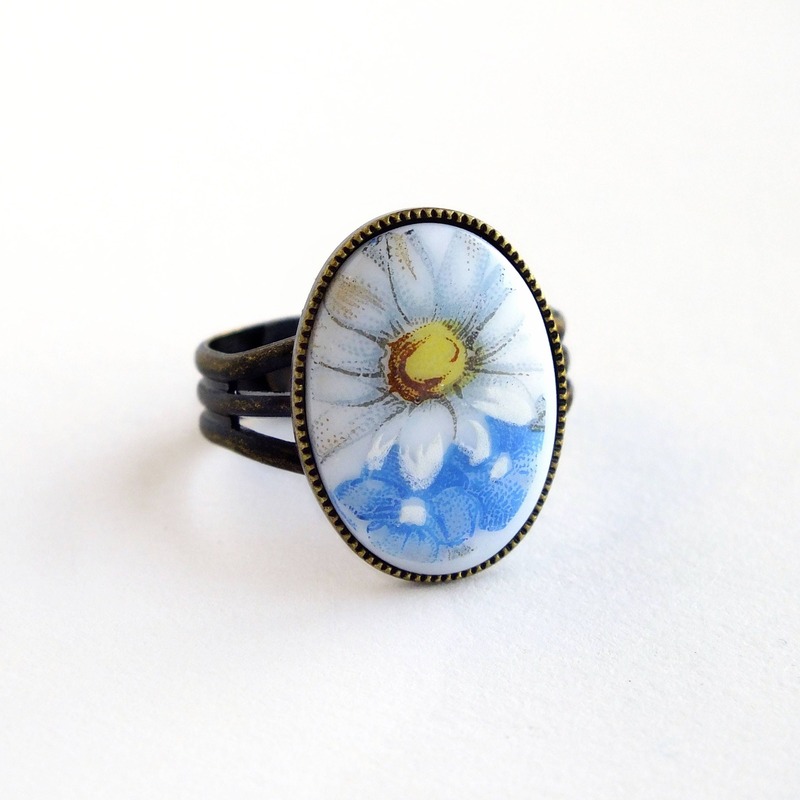 Made with a lovely genuine vintage glass limoge of a pretty white daisy with blue forget-me-nots.